The goal of a candida diet is to control the growth of the yeast candida in the body. If followers restrict their intake of carbohydrates and sugars, they'll supposedly starve the candida of its food source and alleviate symptoms like headache, depression, diarrhea, bloating, skin rashes, trouble concentrating and persistent fatigue. Grains, dairy products, starchy vegetables and all items with added sugar are severely limited on a candida diet, although some proponents advise eliminating fruits like bananas as well. 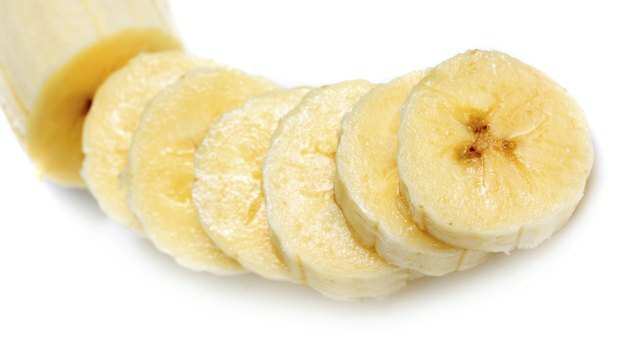 The Functional Medical Research Center says individuals on a candida diet may eat fruits like bananas as long as they are unprocessed, fresh or frozen whole and don't incorporate any added sweeteners. In addition, the fruit shouldn't be eaten alone, but only as an ingredient in a smoothie containing high-protein ingredients such as silken tofu, soy milk or protein powder. Avoid commercial banana chips and home-dried or dehydrated bananas. While freshly made vegetable juices are allowed, don't add any fruit, including bananas, to the mixture. By contrast, Lisa Richards, author of "The Ultimate Candida Diet Program," says people with candidiasis, or candida overgrowth, should not eat any fruit at all, including bananas. Richards contends that all forms of fruit -- fresh, frozen, dried, canned and juiced -- contain too high of a sugar content to be permitted on the diet. She also says some fruits, such as melons, can contain mold that may react with the candida. The only produce you'll consume on Richards' version of the candida diet are nonstarchy vegetables and an occasional squeeze of lemon juice. If you do choose to follow a candida diet plan that allows fruits like bananas, try them for breakfast pureed with water or soy milk, protein powder and another unsweetened fruit such as blueberries or strawberries. For an icy smoothie, freeze the bananas first or substitute ice cubes for some of the water. Stir chunks of banana and toasted nuts like walnuts or almonds into plain unsweetened cow's, goat or sheep yogurt for a quick snack. Choose yogurt that contains live Lactobacillus acidophilus cultures, which are thought to help control candida growth. Quell cravings for sugar-heavy desserts by following dinner with a fresh banana. While candida diet proponents disagree on whether bananas and other types of fruit should be allowed on the plan, some health experts question whether candidiasis is a legitimate medical problem that can be prevented or cured with a special dietary regimen. The American Academy of Allergy, Asthma and Immunology does not recognize candida overgrowth as a disease and does not recommend following a candida diet until more research has been done. Strictly adhering to some versions of the candida diet long term -- particularly ones that exclude whole groups of food like fruits -- may increase your risk of nutrient deficiencies. Don't start the diet until you've talked to your doctor.